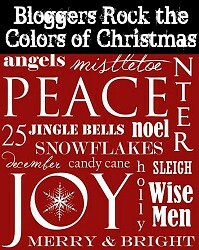 Today, I'm participating in Collette's of Statements in Fashion Colors of Christmas Linkup. Collette is a fellow member of FASH DET, so of course I have to support her linkup! My bbff Erika had the great idea of us styling the gold H&M dress, Erika had previously worn hers here, and although I've worn mine I had yet to post it on my blog. Shoutout to Prissy of Rush Our Fashion for selling this beauty in her online shop, I love it and I'm so glad I snatched it up! It was new with tags too, just in case you're wondering. Be sure to check out Prissy's shop alot of things there are new and oh so cute!!! LOL, yes I'm in the #enabler spirit, Prissy!! Prissy even suggested that I wear this dress with teal, and I love the pop of color with it. Erika's idea for us to style the dress in a Naughty & Nice inspired way was the best idea ever! We decided to meet up for a mini photoshoot and this is what we came up with! We hope you like our pictures! :D We LOVE them by the way! This awesome bag is from my bff aunts, who was like an aunt to me, Auntie Lilly's closet. Auntie Lily passed away and I attended her funeral last month. Her husband was kind enough to allow us to look through her things and pick out what we liked. I feel honored to have soooo many of her awesome pieces. Auntie Lily was an avid thrifter and shopper and a Diva!!! Most of her items still had the tags on them...I had to laugh while peeking through her things, because I'd say, where was Auntie going in this; or ohhhh hott mama! Auntie Lily was such a sweet soul and she will be missed! Wearing her items will remind me of just how special she was! Check out Erika's post for her detailed shots.